Congratulations Darlene! 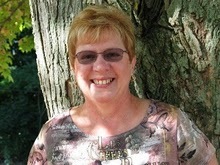 Be sure to stop over and see Darlene's gorgeous creations by clicking here. She will be receiving one of Marianne's new Embossing Folders. Darlene and many others have been faithful weekly participants in almost every one of the Challenges. Selma and I want to thank you and tell you how much we appreciate your support this year. It means a lot to us!! Even though the weekly card challenges that Selma and I do are ending until fall, never fear as we have something fun and exciting planned for the summer! We will be announcing it next week. So, stay tuned and watch for the big news. Congratulations Darlene. Your creations were totally awesome and well worth winning the grand prize. How nice to get those folders. Wow, enjoy gf. God bless. YIPPEE!!! WOW ... what a wonderful surprise! Thanks so much Joan for your kind words! I truly LOVE playing your challenges and I look forward to seeing what you & Selma have UP YOUR SLEEVES for the summer! YAY DARLENE!! LOLOL Maybe I brought you luck! lol Congrats! Congrats Darlene. Wonderful card! I have to apologize Joan. I would normally have done the challenge but this spring has been so busy. Wedding, graduation and I made paper craft gifts for 60 Girl Scout volunteers and that left no time for playing in challenges. I'm looking forward to your announcement. well lookie there, got your picture published!!!!! Congrats girl........you always do gorgeous work!! Congratulations, Darlene! Way to go!